Apple crossed new milestones of success yesterday, with its share value rocketing up to $ 501 .45 per share and continuing to rise. The most interesting part is that now it is cheaper to buy an iPad rather than a share of Apple in the U.S. The entry-level iPad is currently priced at $499, evidently cheaper than a single share of Apple. Whoa! The way Apple is growing, it seems there is no limit to its success. While Apple shareholders are celebrating its success, we shouldn’t forget the man behind everything – Steve Jobs. Apple once was on the way to bankruptcy till Jobs was re-introduced to its board and took Apple from a dying firm to a technology stalwart. One of the factors behind the rise is also, in a weird twist, Jobs’ death, which had sent Apple shares soaring last year. 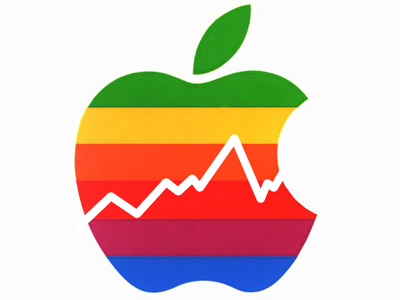 Ever since that rise, Apple’s shares haven’t fallen down. Add to that, the immense success of iPhone 4S and iPad 2 have also contributed to Apple’s $13.6 profit in the first quarter. With the launch of the iPad 3 and iPhone 5 on the horizon, it seems there would be no stopping Apple, as of now. Do Apple products actually deserve such success or is it based more on the market hype created by Apple? Only time will tell.